Da Nang’s atmosphere is not as vibrant as other famous places like Hanoi or Ho Chi Minh City, but it has some great things that make the city unique in its own right. Not only because of the pristine beach, but also the magnificent mountains, and many heritage sites. You may want to spend a few days exploring everything the city offers, here is Inspitrip’s Da Nang in-depth travel guide. The center of Da Nang City is located on the west side of the Han River. 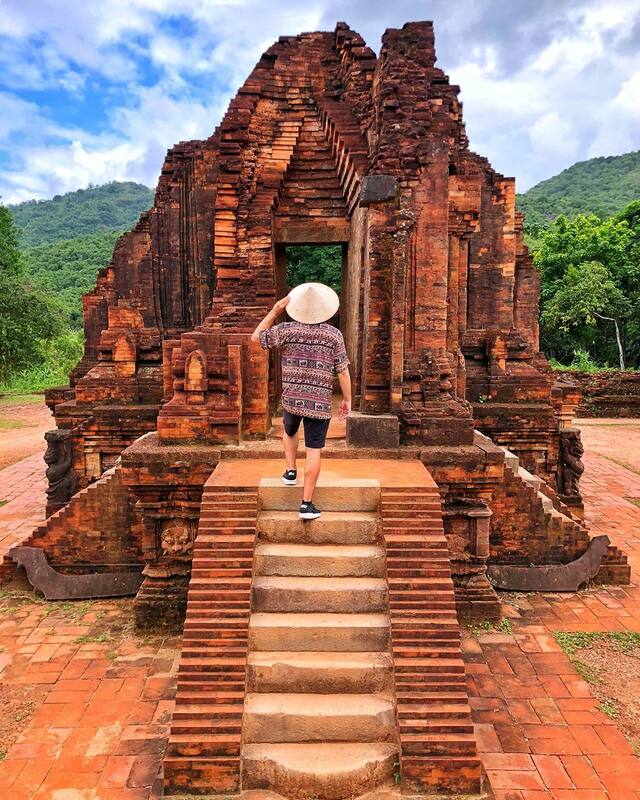 Da Nang’s also the most important port city of Vietnam, and surrounding the city are various UNESCO World Heritage sites like the Old Town of Hoi An and the My Son Sanctuary. 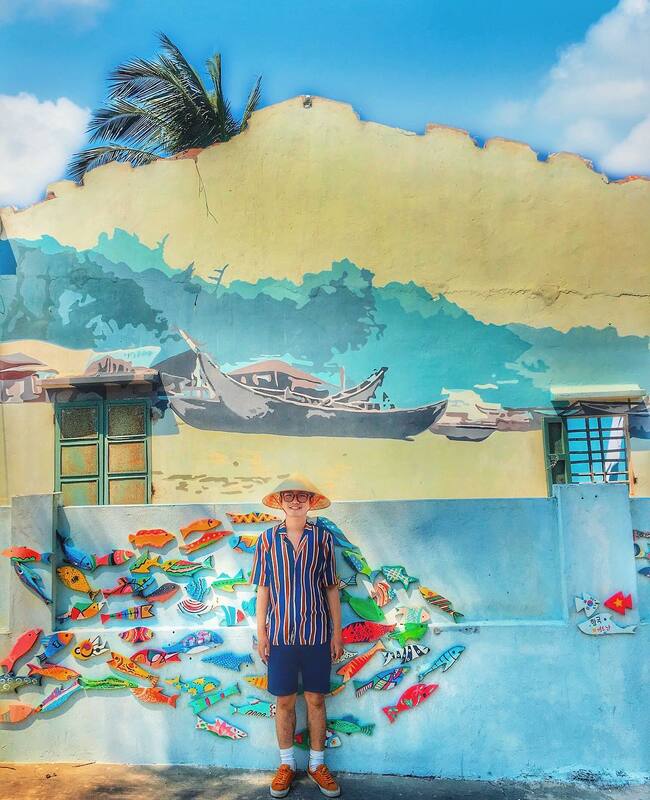 In Da Nang, you’ll easily find yourself being lost in a myriad of things to do and see, from gorgeous sandy beaches, superb vistas, to a wide range of five-star hotels, restaurants and eateries, local markets, and tons of cultural experiences. Back then, Da Nang was just a small village, and it wasn’t until the 17th century that it became a seaport and began attracting traders from around the globe. Lying within the former kingdom of Champa, an ancient civilization heavily influenced by Hinduism brought from India, Da Nang cultivates the rich culture of the Cham people in architecture, cuisine, and Chamic languages are still being spoken throughout the region even today. Stroll around the city and surrounding areas, you may encounter many places that once belonged to the Champa Kingdom or the French Colonial. Because of Vietnam’s history as a French colony in the late 19th century, the architecture, food, and fashion have a great influence in the city and surrounding areas. The best time to travel to Da Nang is from March to September. 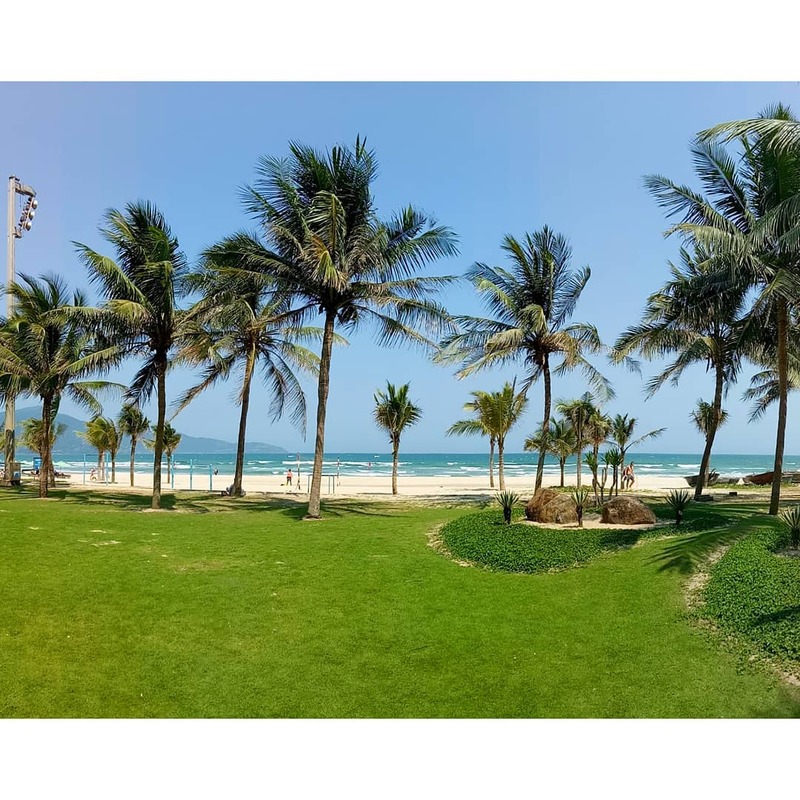 Because Vietnam is a tropical climate country, Da Nang has an unpredictable climate that will prevent tourists from easy travel through the city. During the daytime, the city’s temperature may reach 26-30 Celsius degrees, while it will be cooler at night at around 18-23 degrees. This is also the perfect time for you to enjoy many activities like snorkeling and scuba diving. From November to February, there is the winter season that lowers the temperature to about 10-18 Celcius. For this reason, don’t forget to bring some light sweaters with you when hanging out at night. Summertime, lying between June and August, has higher temperatures. Additionally, be aware of the peak domestic travel months of May to August or annual holiday seasons such as Tet or Christmas, which attract significantly more audiences. Da Nang is home to many world-class resorts, hotels that offer a full-service package including entertainment, relaxation and meeting conferences. There are lots of accommodation options for you to choose while in Da Nang. You can choose to stay at the budget-friendly guest house or motels that provides clean enough accommodation at only $9-$15 per night. If you visit the city with friends, then there are many mid-range hotels with cheaper prices compared to other coastal cities. Apart from guest houses or motels, the city also has many international standard resorts that cost quite a bit of money but provide immaculate service and accommodations perfect for a family trip. The price of this luxury accommodation range from $100 to a whopping $1000. Also, we highly recommend staying as close to the beach or city center as possible, because it will be easier for you to get around the city. Da Nang is one of the better developed cities in Vietnam. The city’s roads are spacious and organized, so it’s fairly easy to navigate. Therefore, there are a lot of options that you can choose to get around the city. Da Nang was built with lots of wide sidewalks and boardwalks, making it easy for tourists to walk around the city at ease. Walking around the night market or along the beach will give you a closer look into the lives of local people. 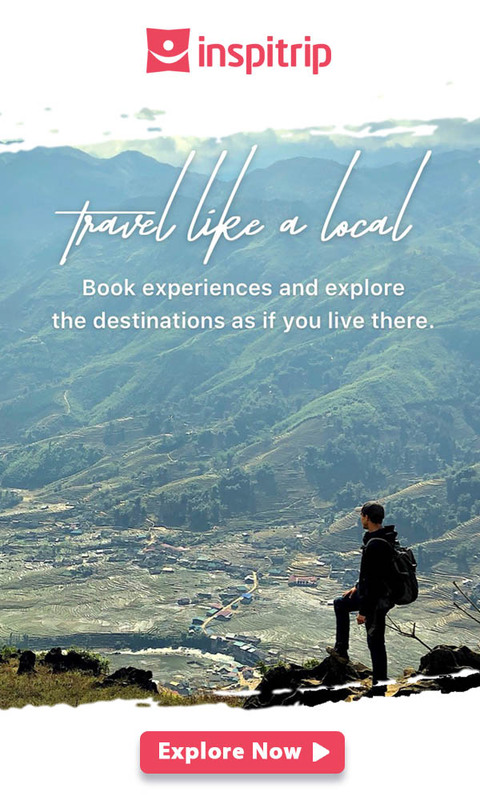 However, this may be inconvenient if you’re planning to explore various stunning attractions such as Ba Na Hills, My Son sanctuary or Linh Ung pagoda which cannot easily be reached on foot. So, checking out some other means of transportation can be more useful to save your time and effort. Going from place to place in Da Nang City by bus is quite pleasant for your budget because this is the cheapest choice. However, we don’t recommend it because it will take longer time and consume more effort if you are new to Da Nang. Bus services start at 5:30 in the morning and stop operating at 4:00 PM, but be aware that the buses don’t usually arrive on time. Also, if you have just arrived at the airport with plenty of luggage, this option will be less convenient because the nearest bus stop is around three kilometers away. From the city center or the airport, you can effortlessly catch a taxi without making prior arrangements. Make sure to ask the driver to turn the meter machine on and check for the route on Google Maps in advance to avoid tourist scams or being overcharged. Also, you should write the address down and show to the driver for better communicating. It is easier and more affordable to use ride-hailing service such as Grab to go anywhere in Da Nang compared to the traditional taxi option. You just need to have the app ready on your smartphone before your travels and pinpoint exact pick-up and drop-off locations. One big disadvantage of taking grab is, these apps require access to the internet or data connection so you must prepare for yourself a Vietnamese SIM card. Not only that, Grab accommodations can be hard to get and increase in price during rush hours. We recommend you to choose Inspitrip’s tours because our tours include an air-conditioned vehicle. There are many options that you can search for yourself here. The vehicles provide a full-package service with experienced drivers that will take you to the exact destinations. Also, Inspitrip has airport pickup service that will wait for you at the airport when you first arrive in the city. Da Nang offers so many exciting activities and tourist attractions that you can choose, whether you’re a history buff or nature-lover, the city can. The city can please many tourists of all ages. Here is Inspitrip’s list of top things to do in Da Nang. 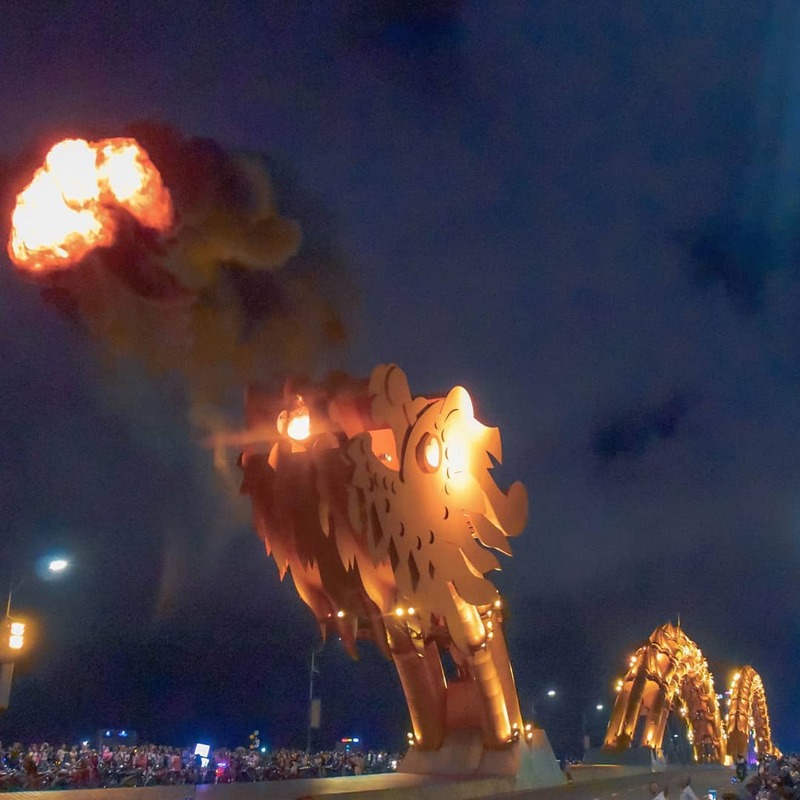 hOpened to traffic in 2013, The Dragon Bridge modeled after the dragon is one of the bridges that cross the Han River and connect Da Nang International Airport to other important roads in the city. The bridge is 666m long, 37.5m wide and has six lanes for traffic. The dragon itself offers a special performance every weekend and during festival times that attract both locals and foreigners! It’s the best to visit the bridge in the evening because of the many colorful LED lights that illuminate the bridge, also there are lots of bars and restaurants that overlook the Dragon Bridge that serve tourists at any time of day. The Marble Mountains are the symbol of Da Nang and are a cluster of five marble and limestone hills located in the Ngũ Hành Sơn District, south of Da Nang city. The five mountains are a complex of 5 mountains that are named based on five elements: Kim (metal), Moc (wood), Thuy (water), Hoa (fire) and Tho (earth). Mount Thuy is the highest and most beautiful, and there’s even a path to go to the top of Mount Thuy. The Marble Mountains are a must-visit with amazing landscapes and various architectural and historical buildings. All of the mountains consist of cave entrances and a network of tunnels that tourists can explore. The mountains also have lots of Buddhist sanctuaries that can be found just by strolling around. Located at the foot of the Marble Mountains, My Nghe Non Nuoc is a traditional stone sculpture village where you’ll get to see local craftsman making stone sculptures and handicraft products. We recommend booking a tour trekking the Marble mountains, with a local guide so you can enjoy the best of it. The Ba Na Hills are a top-notch attraction that every tourist should visit in their lifetime. People from the city come to this magnificent destination to enjoy the fresh air and beautiful scenery. Ba Na is 1,487 m above sea level in the Truong Son Mountains west of Da Nang, with an average temperature of just about 18-Celsius degrees, it can be seen as the SaPa of central Vietnam. Tourists can visit the Ba Na Hills via the cable car systems that have also set two Guinness World Records for their height and length. At the summit of the Ba Na Hills, you will find spectacular vistas that stretch as far as the eye can see, and you can even take a cable car to the top if you are feeling lazy. There are so many must-see things in Ba Na but one of the main highlight attractions is the Golden Bridge. The bridge is supported by giant hands, contrary to the elegance of the bridge. 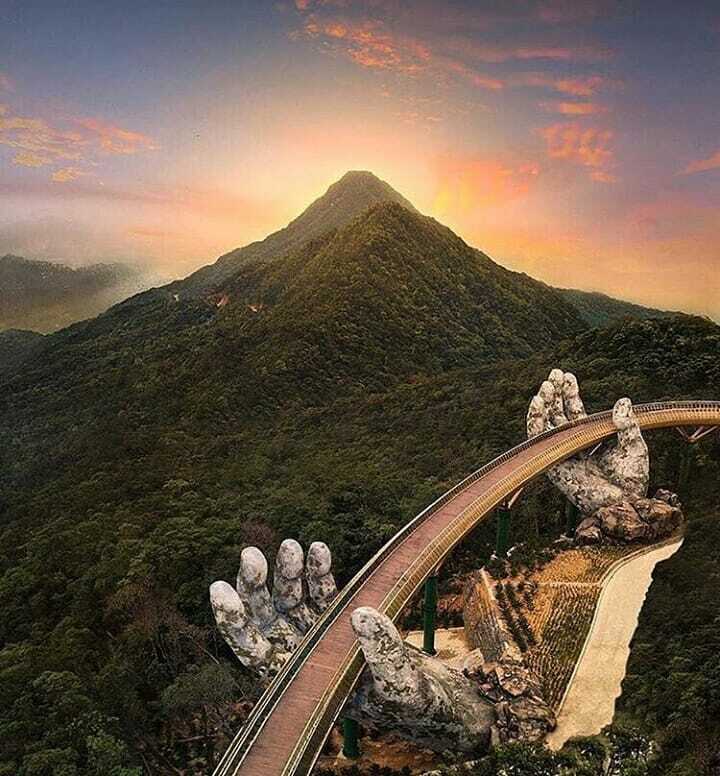 The yellow color of this bridge is more prominent and displays a stark contrast between the forest and the giant hands. From the bridge, you can have a look at the magnificent landscape surrounded by clouds and mountains. 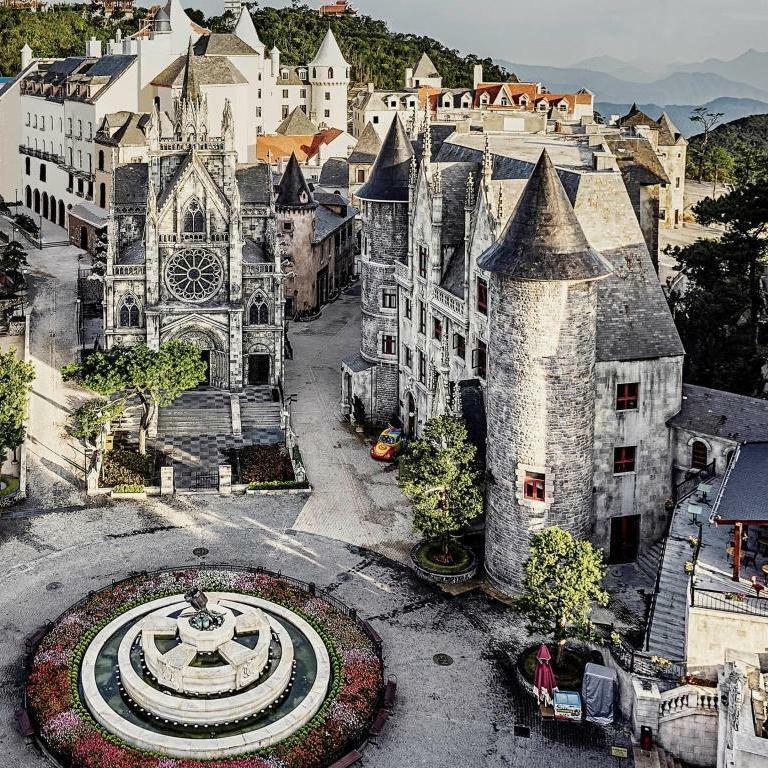 You can take a tour with our Da Nang travel guide to Ba Na Hills with lunch included. There are three pagodas named Linh Ung in Da Nang. Linh Ung pagoda in Bai But, Son Tra peninsula is the biggest and the most beautiful of the three. 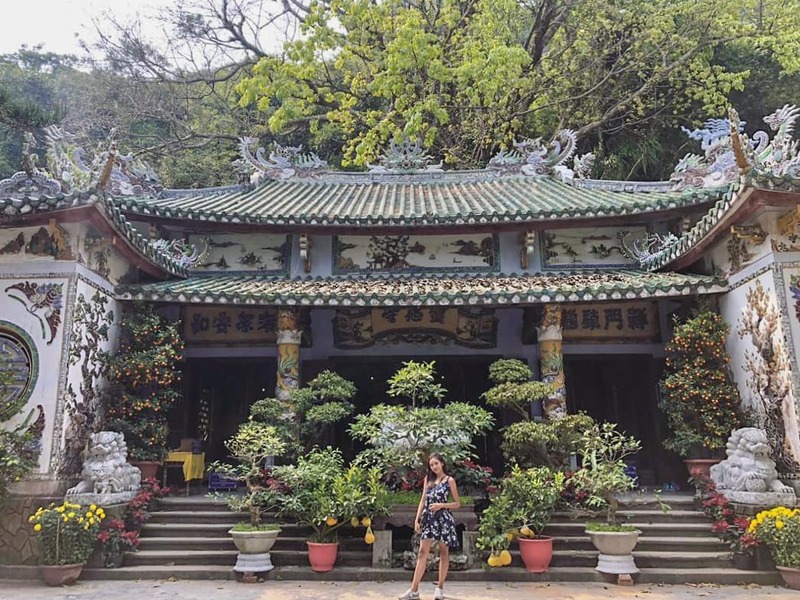 Linh Ung is the perfect example of a Vietnamese pagoda; built with many traditional features and representing an atmosphere of perfect harmony. The path to the main chamber of the pagoda consists of 18 Arhats statues, each depicting various human emotions. It takes time for tourists to fully explore the pagoda. The main highlight of the pagoda is the famous Lady Buddha statue. The statue is situated on an area of about 20 hectares on the side of a mountain, looking to the sea while leaning on the Son Tra Peninsula. The Lady Buddha statue stands on a perfect position of the Son Tra peninsula that visitors can see it from nearly every corner of Da Nang. It is the highest statue in Vietnam, measuring 67 meters in height and 35 meters in diameter at its base. Even though it is a religious place, the pagoda find itself one of the most visited attractions in the city of Da Nang. My Khe Beach is just 5 km from the center of Da Nang. The beach is regarded as “one of the most attractive beaches on the planet” by Forbes Magazine. The reason is that it is located in a perfect position close to the city with many beautiful landscapes and tourism services. Walking on the beach, tourists will bear witness to the combination of clear skies, silky white sand, and palm trees of My Khe. Not only does the blue water of My Khe help you relax, it also contains lots of challenging sea activities that can be booked on the spot, including water skiing, wakeboarding, jet skiing, windsurfing, and kayaking. Tam Thanh was just a poor normal fishing village back then, and now the village has become the hidden gem of tourist attractions of Vietnam. The village is an hour drive from the south of Hoi An. A program has been established with the mission statement “Art for a better community” in 2016, where a group of artists composed of both Korean and Vietnamese created various paintings over 100 murals. Thanks to this joint Vietnamese-Korean collaboration, Tam Thanh fishing village has transformed into a full-fledged tourist destination. Many tourists can experience the combination of natural beauty and lively street art in the various paintings around the village. Not only are the paintings really great in terms of quality, but they also have a great impact on many locals living in the village. Which was the reason why the program chose Tam Thanh in the first place: to raise the living conditions of the village. Visiting the village, tourists are now not only able to see the impressive murals, but also create more income for the locals living in the village. The ruins of the My Son sanctuary in Vietnam are extraordinary for its mysterious vibes. The Cham people used the temples as a worship place, and also buried some of their kings there. Although the majority of the ruins were destroyed and some statues are missing, there are still some impressive ancient decorations that have survived to present day, including snakes, elephants, and priests. The My Son Sanctuary is often compared with other historical temple complexes in Southeast Asia, such as Angkor Wat of Cambodia or Ayutthaya of Thailand. As of 1999, My Son has been recognized by UNESCO as a world heritage site. You can take a tour with a Da Nang travel guide to My Son Sanctuary. The Cham Islands constitute a group of 8 small islands of Quang Nam. 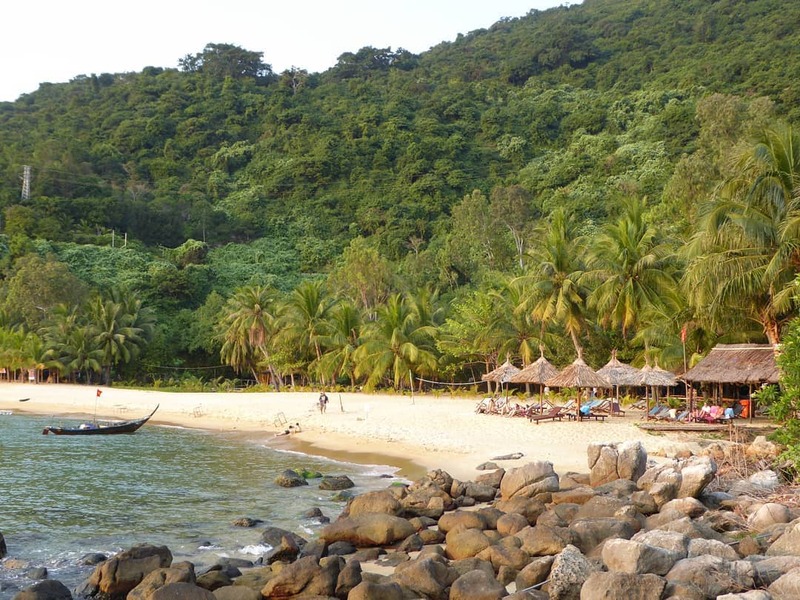 The Cham Islands are under the administration of the Tân Hiệp Commune of Hội An city in Quảng Nam Province and are approachable from Cua Đai beach. The people of the islands use mainly fishing for a living. The islands grouped under the Cham Islands are the Hon Lao (Pearl), Hon Dai (long), Hon Mo (tomb), Hon Kho mẹ, Hon Kho con (dry), Hon La (leaf), Hon Tai (ear) and Hon Ong (east wind). Cu Lao Cham Islands’ ancient landscape offers many sandy beaches, forested hills, and blue sea. The islands are famous for its natural beauty, diversified sea environment and the ancient culture of The Champa Kingdom, which can help tourists learn more about the historical culture of The Chams. Not only that, but there are also lots of activities on Cham Island, such as camping, swimming, snorkeling and scuba diving. You may visit the islands by choosing Inspitrip’s Cham islands private tour with the help of our English tour guide included. 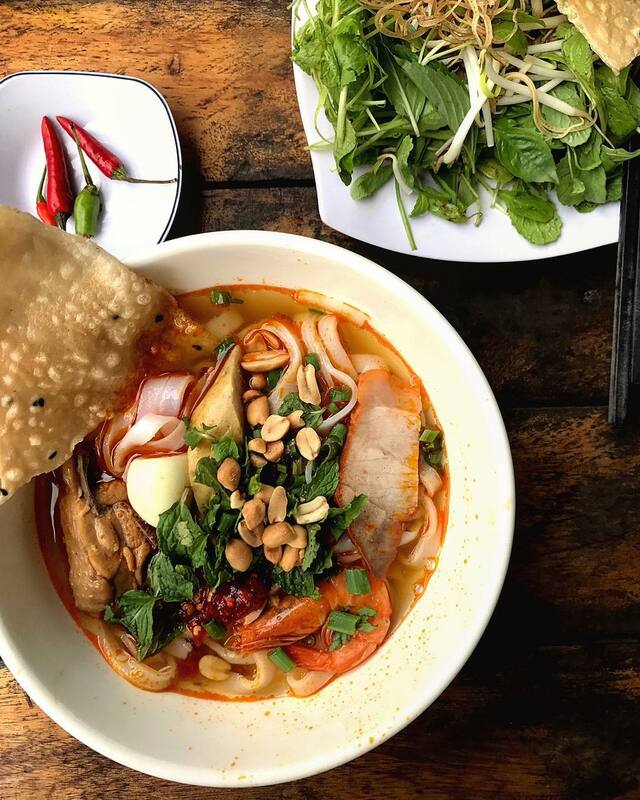 Da Nang is blessed with not only beautiful beaches and stunning scenery but also its unique cuisine. The city is from the central part of Vietnam, so it’s foods are heavily influenced by other regions like Hue or Quang Nam. Furthermore, the food in Da Nang is comparatively cheaper than other big cities like Ho Chi Minh and Hanoi. There are so many popular dishes in Da Nang, but some of the ones you must try include Quang noodle, Pork wrapped in “banh trang”, and Cao Lau. In order to help fulfill your experience in Da Nang with amazing street food, book a Da Nang street food tour with a professional tour guide. Street food in Da Nang gives you the chance to get face to face with fascinating local lives.